No arrests have been made yet in the murder of Ty Underwood, but friends of the victim say police should consider the attack a hate crime. Ty Underwood, a 24-year-old transgender woman of color, was fatally shot early Monday morning in North Tyler, Texas, reports local news station KYTX. Police found Underwood when responding to a 911 call from a woman who said her children had heard gunshots and that a car had run into a telephone pole nearby. Detective Andy Erbaugh told reporters he believes that Underwood was near or inside the car when shots were fired at it; Underwood was likely struck while she was trying to drive away. While Tyler police say they are still investigating a few leads and have yet been unable to make arrests in the murder, Underwood's friends told KYTX that they believe Underwood was targeted for being trans. "She was lovely, just a lovely person. Very real, down to earth person who didn't deserve this, did not deserve this at all," Underwood's roommate Coy Simmons told KYTX. "This has to be a hate crime, this has to be a hate crime, nothing else because that was an upstanding person with a good heart." Underwood's friends and family fondly remember her as a dedicated nursing assistant who wanted to return to school to further her career. She had recently been accepted into and was planning to attend Kilgore College's nursing program in Longview. The Tyler Police Department has offered a $1,000 reward for any information that leads to an arrest for Underwood's murder. Anyone with relevant information is asked to call the Tyler Police Department at (903) 531-1000 or Tyler-Smith County Crime Stoppers at (903) 597-2833. Underwood is the second transgender woman of color reportedly murdered in 2015, according to the National Coalition of Anti-Violence Programs. 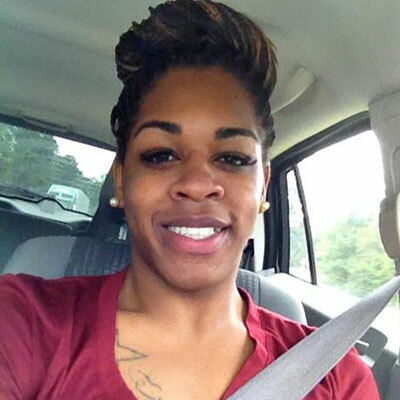 On January 23, police in Norfolk, Va., found Lamia Beard, a 30-year-old trans woman of color, suffering from a gunshot wound. Beard later died at a hospital from her injuries, prompting the local anti-violence program to organize a crowd-funding campaign for Beard's family to offset funeral costs.